You can limit the leads you receive for some services on Bidvine. For these services, you will be able to reduce the requests we send you by only selecting the customer responses that are you're interested in. 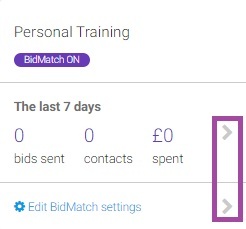 For example, if you are a personal trainer that only takes on clients that trains 0 to 4 times per week, you can exclude requests where customers specify they train more than that. The above screenshot is just one example of the types of information that can be filtered. 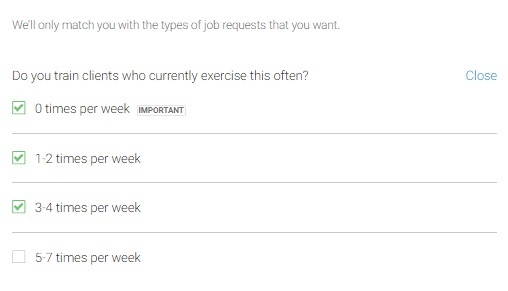 In this example, this professional will only receive requests from customers that exercises from 0 to 4 times per week. Feel free to check all your active services and filter them as necessary based on your liking. Please note: these settings will only be applied to future requests that you may be sent.